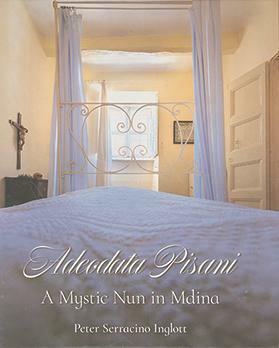 Peter Serracino Inglott (edited by Petra Caruana Dingli): Adeodata Pisani: A Mystic Nun in Mdina. St Peter’s Monastery, Mdina, 2018. On May 9, 2001, during his second visit to Malta, Pope John Paul II beatified Adeodata Pisani. It had been a long wait. In fact, the formal process had started over a century earlier and some 40 years after her death. Pisani was then still in living memory to some, and the testimonies that were collected made up a set of documents known as a positio. It was largely based on the positio, as well as on a kind of spiritual journal Pisani kept called Mystical Garden of the Soul, that Peter Serracino Inglott got down to do research and write, around the time of the beatification. His book would be called Dialogue with an Heiress: The Secret Life of a Maltese Nun Adeodata Pisani (1806-1855). Typically, we’re told, he never quite finished it. So it was that some time after his death in 2012, Petra Caruana Dingli (who had been his research collaborator on this and other projects) bravely fished out a fairly ripe draft from among his papers. The book under review contains that draft as edited by her, a useful editor’s introduction which also adds to our biographical knowledge, the words of an oratorio on Pisani which Serracino Inglott had hoped would be set to music by Charles Camilleri, and an essay each by Ranier Fsadni and Hector Scerri. All in, it is the best collection of materials we have on Pisani. This is also because Serracino Inglott’s is not a chronological biography in any straightforward sense. Rather, he locates aspects and episodes of her life in the monastery within longer-term cultural, religious, and spiritual currents. This, as well as the sheer volume of allusions and references that range from Pascal to Beckett, the nymph Calypso to Marina Warner, provides a clue as to why the book was never finished. Adeodata Pisani was born Maria Teresa in Naples in 1806. Her mother was Italian and her father a wayward Maltese aristocrat who held the now-extinct baronial title of Frigenuini. Her parents, who had married in Naples, separated soon after her birth, and her first years were spent with her Maltese grandmother (who she eventually inherited) in that city. In 1825, she moved to Malta and lived with relatives of her father in a house in Republic Street (then Strada Ribazza) in Rabat. By her own account, it was in Rabat in 1827 that she first felt the call, as she listened to a sermon by a Franciscan friar. It was not immediately clear to her where that call would take her. In Malta at the time there were 22 convents and five monasteries where nuns lived, and divergent loyalties (and, perhaps, rivalries) were the order of the day. Wisely, Teresina, as she was then known, resorted to Our Lady of Good Counsel, who advised her to “go to the monastery of St Benedict and be bethrothed to my son Jesus”. 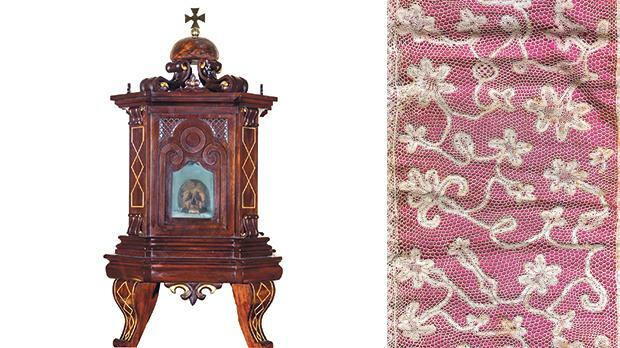 It probably helped that the family had long-standing connections with St Peter’s Monastery in Mdina. Be that as it may, it was that monastery and community whose pre-novitiate class she joined in 1828. While Serracino Inglott’s refusal to stick to biographical chronology may seem chaotic at first, his defensive argument that the contemplative life transcends time is well placed and ultimately productive. For instance, we first meet Pisani in 1842, on the day she receives a visit from her 10-year-old cousin Luisa. Luisa’s testimony was given more than 30 years later, by which time life had taught her that, as the saintly nun had once told her in broken Maltese: “God likes coming in the darkness, out of humility and reluctance to be pushful”. Nothing about Pisani’s everyday life was too distant from the spiritual. So, even as she did laundry work in the monastery’s lavanderia (which survives intact), she reflected on the symbolic meaning of cleansing and spring water. When she died, the nuns struggled for half an hour to close her mouth. Finally, someone exclaimed: “Adeodata, you were perfectly obedient all your life. Are you going to spoil the record now?”. Upon which, her jaw yielded. The book is enriched by a generous number of splendid photographs by Daniel Cilia. Tellingly, many of them show the spaces within the monastery that Adeodata Pisani knew so intimately. It is in and of these spaces, while working at her embroidery or sitting in the belvedere that overlooks much of Malta (both the belvedere and examples of her embroidery survive), that she lived the kind of monastic ‘secret life’ that resembled, in Serracino Inglott’s borrowed words, a dusty country road beneath the surface of which there flowed a hidden crystalline underground stream. It was the walls of the monastery that made it possible for her to extricate herself from her baronial legacy and claim an inheritance of another kind as an adopted child of God. Thus, the wordplay on ‘heiress’ in Serracino Inglott’s provisional title. This welcome book reminded me of Philip Gröning’s Into Great Silence, a 2005 film that documents the lives of Carthusian monks at the Grande Chartreuse monastery. Both book and film tell us that, seen and felt with open minds and hearts, the rhythms and rhopographies of the contemplative monastic life are a perennial inheritance of phenomenal value.